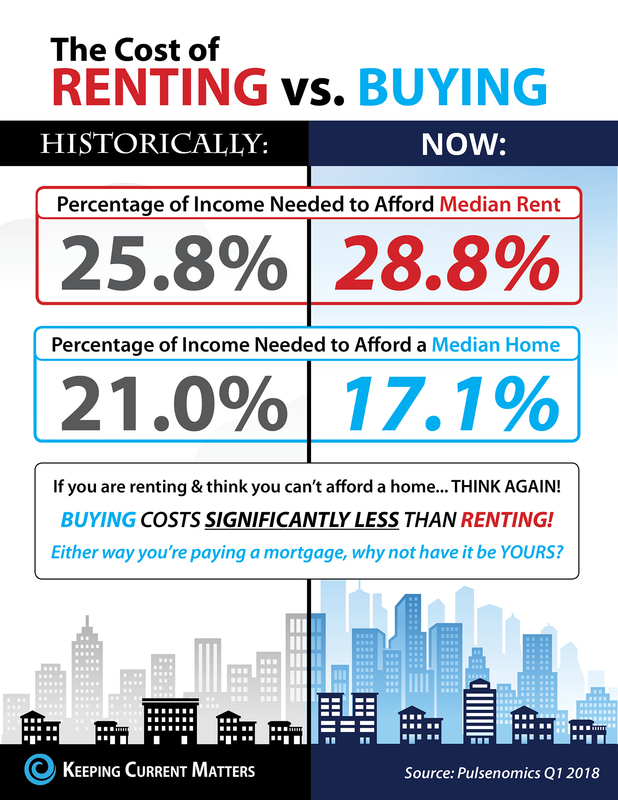 Historically, the choice between renting or buying a home has been a tough decision. People rent for different reasons – some renters may not even be aware that they may be able to buy for the cost of renting. With the increase in luxury apartments in Chicago and the suburbs, and the higher rents, many are looking at their home buying options. Chicago still remains one of the most affordable, on average, large metros in the country and a variety of housing options are offered at different price ranges. Looking at the percentage of income needed to rent a median-priced home today (28.8%) vs. the percentage needed to buy a median-priced home (17.1%), the choice becomes obvious. Every market is different – real estate is local not national. Before you renew your lease again, find out if you can put your housing costs to work by buying this year! We know some great loan officers / lenders – that clients have enjoyed working with. Contact us if you would like to see if you can afford to buy and get an idea of what you are approved for (the first step in the home buying process).